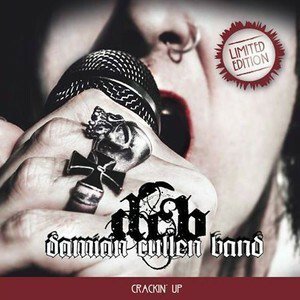 From Helsinki, Finland, current lineup consists of Niklas Nyberg – guitar, Pekko Mantzen (session guitar), Bryan Ugartechea – bass, Alba Ruuskanen – drums, & Norma Nurmi – backing vocals.The lead singer and songwriter is Damien Cullin, of course A Rockstar. On 4/11 DC band released their debut single “Popcorn Girl “and have been cranking it out ever since. Touring mainly around Finland in clubs and festivals, soon Germany. Damien is unmistakable with his mod hair and signature white suit with a skull on the front pocket. They’re a combination of glam, goth, power pop, punk and RnR! Hear their remake of the Sonics oldie “Have Love,Will Travel” at a fast pace.There are hooks and riffs that make you want to listen again and again. “Shangrila America” and “Story Of My Life” showcase their style. My personal fave is “Its Cold Outside” accompanied by a super cool video. They do a rock rendition of “Happy Birthday” — when they messaged that to me It was the best present I could ask for!